Gerringong is a small town nestled on the coast a couple of hours south of Sydney. The town spills down a steep hill to a picturesque beach surrounded by grassy headlands. It’s one of those tidy little towns close enough yet far enough from a major city to turn into a haven for day trippers, and thus end up with a main street full of trendy antique shops and rustic country home goods, but so far this transition seems to be only partly complete. 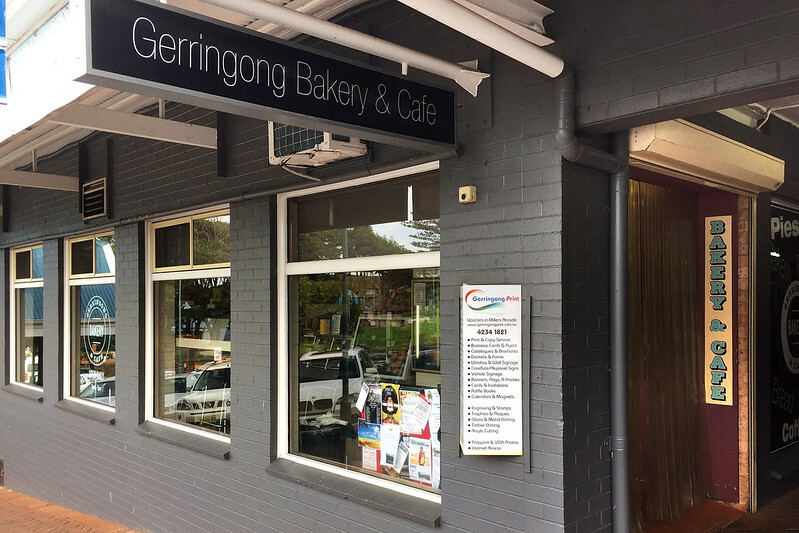 There are still some typical country town establishments, one of them being the local bakery and cafe, which goes by the original and creative name of the Gerringong Bakery and Cafe. It occupies a recently repainted brick building in the middle of the main strip, which looks very neat and modern from the outside. Inside, it’s clean, with modern fittings, but the building has have obviously been there considerably longer than the most recent paint job. 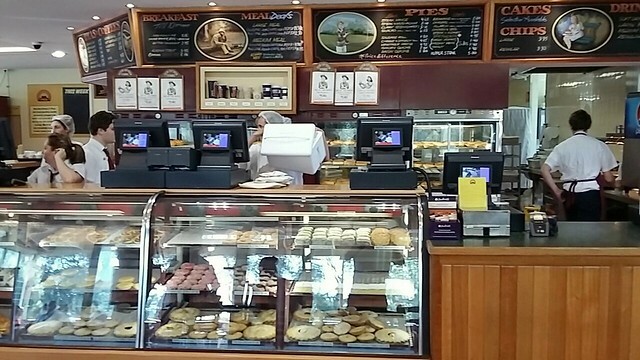 The bakery holds a very typical selection of bread loaves and buns, as well as counter displays of various traditional Aussie treats: Neenish tarts, custard tarts, Anzac biscuits, meringues, apple slices, and also not one, but two lookalike items named after branded trademark names: wagon wheels and (giant sized) iced vovos. 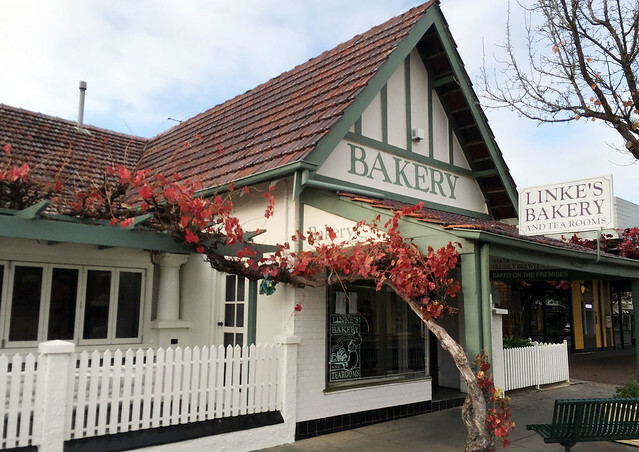 A leisurely Sunday drive up into the Blue Mountains west of Sydney for a day out provided the opportunity to sample bakery products from a bit further afield. We stopped for morning tea at Leura, having a Devonshire tea of scones hot from the oven (they had literally taken them out just minutes before serving them to us), with home made strawberry jam and double cream. The scones were chocolate chip and cranberry, which made things even more decadent. After spending some time in Katoomba, we found ourselves in Mount Victoria when lunch hunger hit. 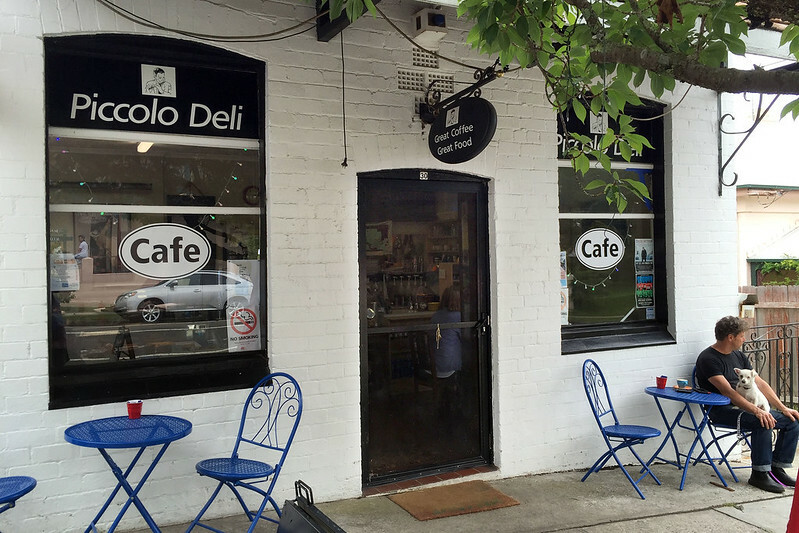 So we parked in this small mountain town and walked to the Piccolo Deli, which also serves as a cafe. In the display counter were various pastries, both savoury and sweet. They had two types of sausage rolls: beef and onion, and pork and fennel, as well as a vegetable roll for the meat-free. A few rolls were hot in a pie warmer, but the friendly woman behind the counter said they could heat up anything for eating. Naturally, I ordered one of each of the sausage rolls, while Mrs SB&R chose the vege roll. Heatherbrae Pies is located a couple of hours north of Sydney, and is an ideal place to stop off for lunch or a snack on a road trip up the NSW coast. Ever since starting this food review blog, I’ve anticipated coming here to do a review. The opportunity arrived, I checked their website, and yes, they do indeed sell Sausage Rolls and Vanilla slices! Earlier in the morning I had visited Beerenberg’s Strawberry Farm, on the outskirts of the small town of Hahndorf in the Adelaide Hills. When approaching the farm shop, there was the surprising but unmistakeable smell of tomato sauce in the air, which made no sense at all to me. Upon going inside the shop, which had numerous jams and sauces for sale, I discovered the reason. Through a window one could see workers processing fruit and other ingredients to make product, and a sign indicated that today they were making… tomato sauce! The roll got things off to a bad start. It looked decidedly average, like a roll from a warmer in a petrol station. The pastry on top was an anaemic looking pale golden brown, with evidence of thick crocodile-skin-like flakiness rather than delicate thin flakiness. Biting into the roll confirmed my worst fears, as the pastry was crisp on the outside while not being flaky enough and a bit soggy near the meat. The meat centre was bland and a bit too dry. Not terribly dry, but certainly too dry to be good. I arrived here with Mrs Snot Block & Roll on a cold, rainy morning for an early breakfast, as it was one of the few places in the Clare Valley region open before 9am on a Sunday. We asked if they had a breakfast menu, but received a politely apologetic response in the negative. The place is simply a bakery with a coffee machine – whatever you see on display is what’s available. But since that included good looking sausage rolls and vanilla slices, there was no real decision to be made anyway! 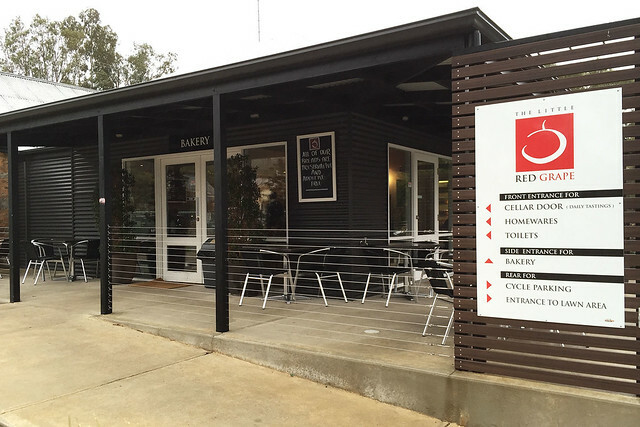 The bakery is actually attached to a cafe of the same name which serves meals and acts as a cellar door for one of the local wineries, but the cafe wasn’t open at this time. 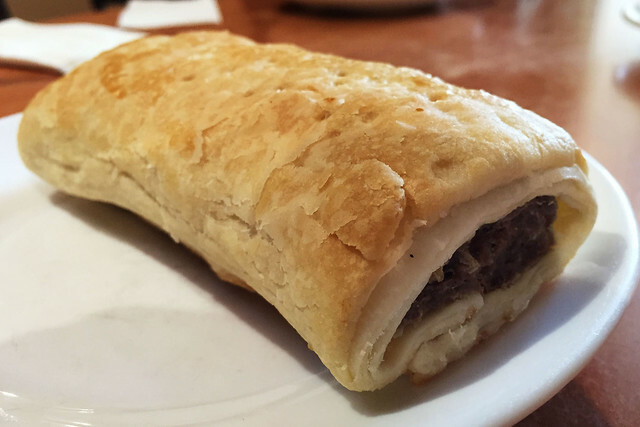 The sausage roll is an enigmatic yet ultimately frustrating compilation of excellent meat in a frankly awful pastry blanket. It looks promising, with golden brown flaky pastry on top, wrapped around a plump roll of meat filling. The first bite delivers a pleasant experience as the flavour of the meat explodes in the mouth. It is delightfully savoury, with a hint of herbs and the right amount of saltiness to bring out the savoury umami flavours of the meat. Any additional spices are subdued, but there are huge chunks of onion adding to the taste, which is like a friendly home-cooked stew, cooked well, and simply all round a great flavour experience. The texture is in that perfect zone between too soft and too dry. It’s really very good. It would suit a full flavoured Cabernet Sauvignon. 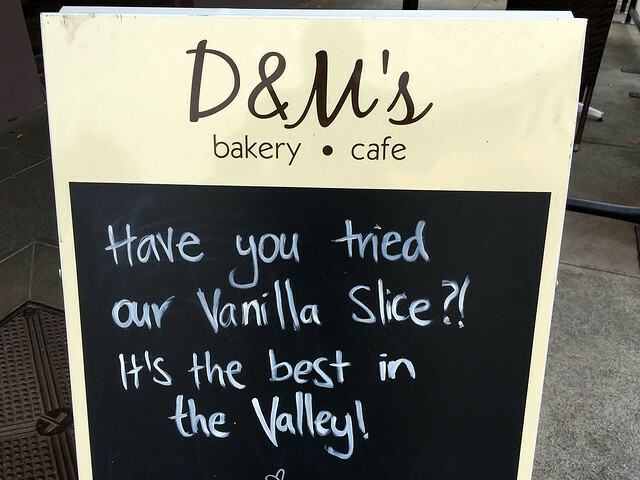 This place was a must-visit, as it boldly advertises “the best vanilla slice in the Valley” on all of its promotional material in the tourist guides of the Barossa Valley, and on a large sign outside the premises. 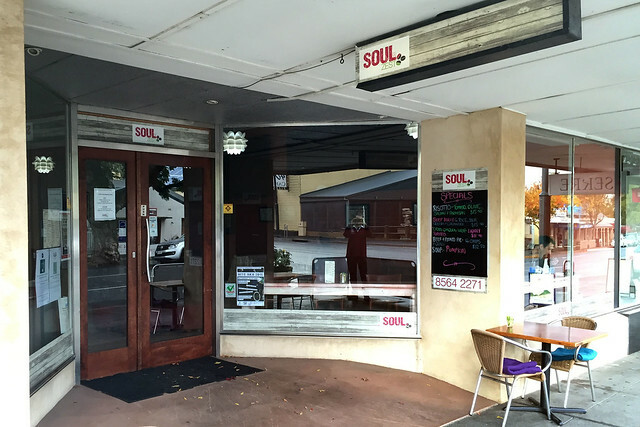 It occupies a traditional neat-looking shop front on the main street of the tiny town of Angaston, but inside it stretches expansively back from the street to form a somewhat funky cafe atmosphere with chill music playing softly. The display counter is large, with a big selection of delicious looking savoury pies, plus dozens of cakes and slices, and then a fresh sandwich bar.